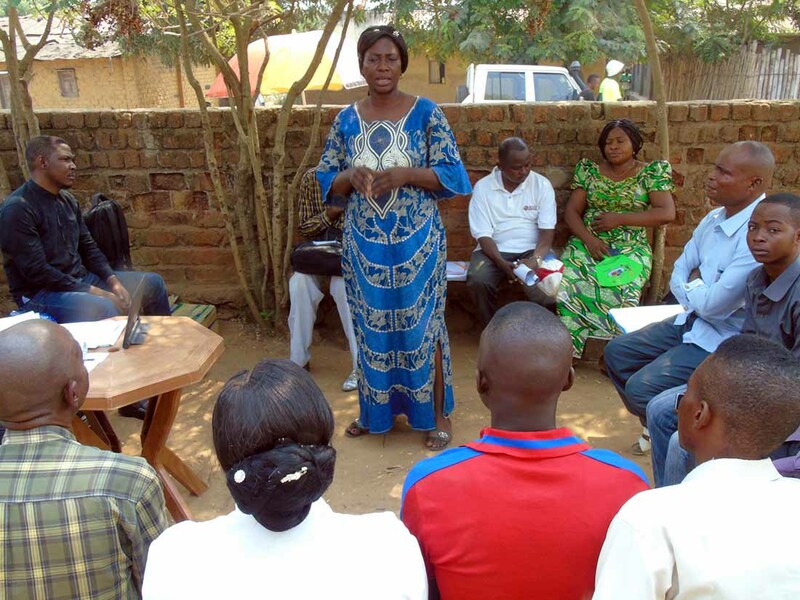 In the Democratic Republic of Congo, IMA World Health works with the Ministry of Health to create solutions to challenges that arise while ensuring access to primary health care services for more than 8 million people. One of the solutions created through the Access to Primary Health Care Project was a hotline that enables any member of the local community to express concerns in a timely and effective way. The hotline, which can be reached by sending a text message, has been a critical tool in alerting the Ministry to the needs of health centers by giving health zone representatives information about medicine, supplies, staffing concerns and other managerial needs. The Access to Primary Health Care Project, known locally as Accès aux Soins de Santé Primaires or ASSP, supports DRC’s National Health Development Plan by expanding access to and coverage of primary health care services for people living within 52 health zones in five of the country’s 26 provinces: Kasaï, Kasaï Central, Maniema, Nord-Ubangui and Tshopo. Funded by the UK’s Department for International Development, IMA has led the consortium of implementing partners since 2012. Through the ASSP Governance program, IMA World Health works closely with the Ministry to improve leadership and governance within the health sector. By supporting the governance system at all levels, ASSP aims to increase the understanding of social accountability within and outside of government. Both the community and health service providers have roles to play in strengthening accountability for health service delivery and improving community participation and empowerment in the joint management of local health center activities. 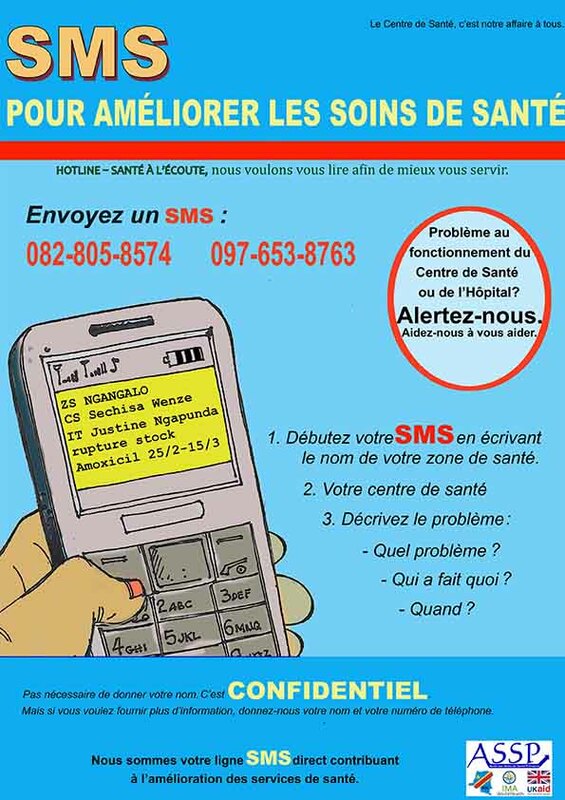 Together, IMA and the Ministry of Health established the hotline-notification system. When health zone representatives receive a report from the hotline, they work to resolve the problem immediately. Since the launch of the hotline program in February 2016, 678 issues have been resolved. Currently, health zone representatives are addressing 46 complaints. One message to the ASSP Hotline made a huge difference to Pitshou and his family. Pitshou is a contractor. 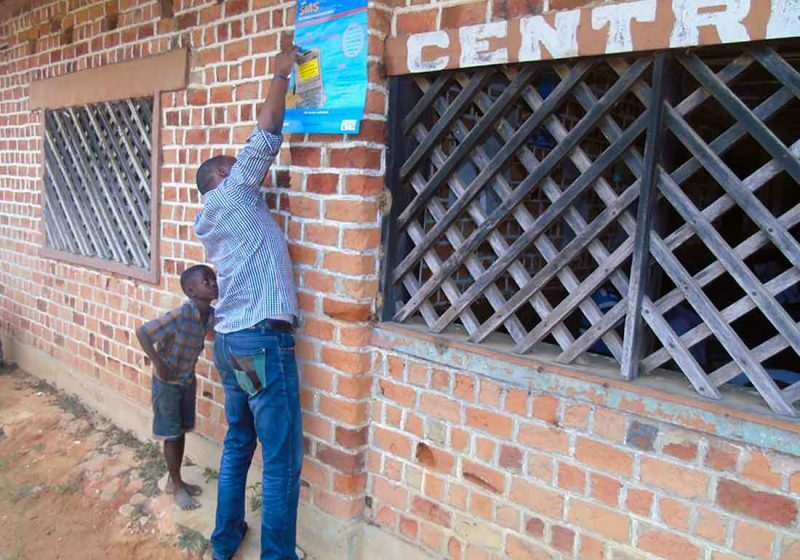 He had finished a job refurbishing a rural health center in the DRC. But it seemed to be taking a long time to process the payment for his work. He had heard talk that the ASSP Hotline could help resolve problems associated with health centers while keeping the matter confidential. A Hotline poster at the health center explained how to present his problem. Following the simple instructions, Pitshou sent a text message notifying the Hotline about his paycheck. The health zone representatives quickly tracked down the cause of the delay. Pitshou simply needed to come into the office to confirm the number of days worked before the paycheck could be issued. Once his hours were verified, the office presented him with his paycheck, bringing a smile to Pitshou’s face. While his identity and his location in Congo’s interior have been kept confidential, Pitshou and his family of four children thank ASSP, IMA and the Hotline for the key role they played in ensuring the receipt of his salary. 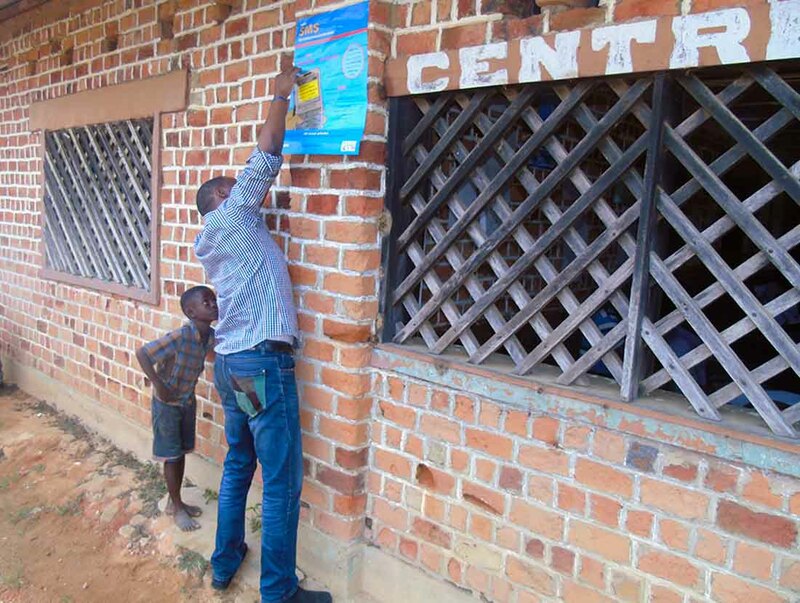 Olivier Cianyi, IMA Hotline Dispatcher, hangs a Hotline poster with the help of a curious onlooker at a health center in Kalima, about 64 miles from Kindu, Maniema, DRC, on August 28, 2018. Clémentine Mioma Riziki, Data Manager and Communication spokesperson for the Provincial Division for the Ministry of Health in Maniema, presents the concept of the hotline in the health area of Kasuku II in Kindu on August 14, 2018. 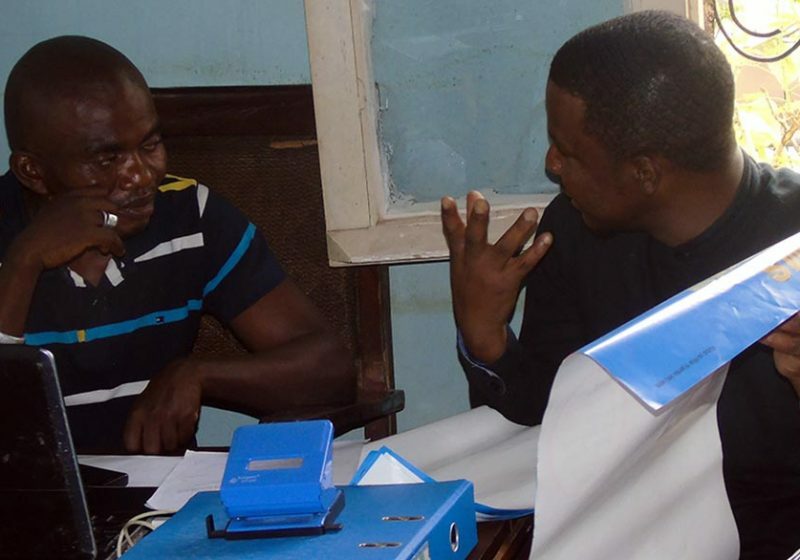 Olivier Cianyi, IMA Hotline Dispatcher, explains the concept of Hotline to Gérard Abeli, Secretary for civil society group Citizens’ Center, in Kindu on August, 20, 2018. 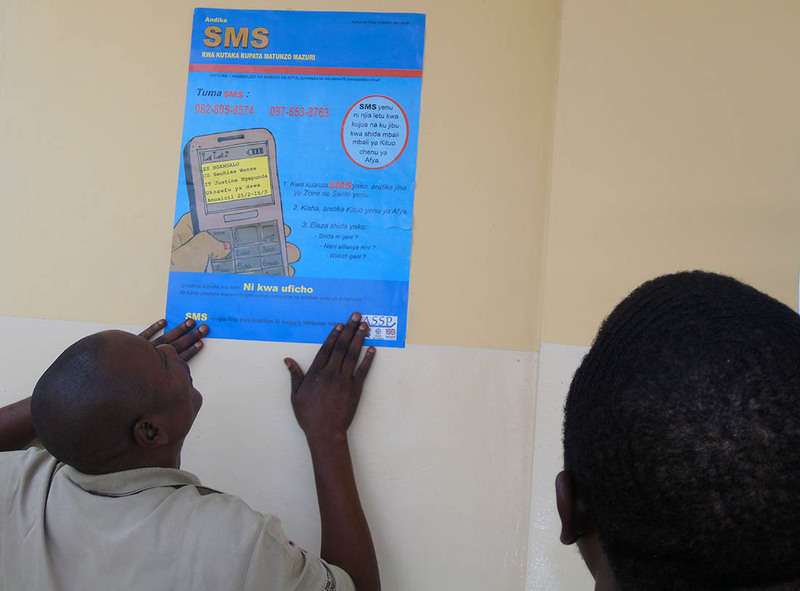 Olivier Cianyi hangs a Hotline poster in the Central Office of the Health Zone in Kindu on August 20, 2018.